Do you really think anyone in this deeply divided country has a mandate to go hell-for-leather for full immediate exit from the EU, regardless of costs and consequences? I don’t. I think we might be very wise to settle for a Norway-style arrangement, and leave the rest for some other time. A mandate is a mandate, but only because of the strange, rather illogical magic which says that a majority of one vote decides the issue. So it does. But it doesn’t sweep away any duty to consider the defeated minority, our fellow countrymen and countrywomen, our neighbours, friends, colleagues, even relatives. I get tired of the overblown shouting on both sides here. Anyone, even I, could see that a referendum was only the first step, and that lawyers, judges, civil servants, diplomats and the BBC would seek to frustrate a vote to leave. That’s why I always wanted to take another, longer route out. I wasn’t surprised by the High Court decision that Parliament must be consulted, and I will be even less shocked if the so-called ‘Supreme Court’ takes the same view. The facts are on their side. MPs were told, in the official briefing by the Commons Library, that the referendum they were voting for would be advisory, not binding. 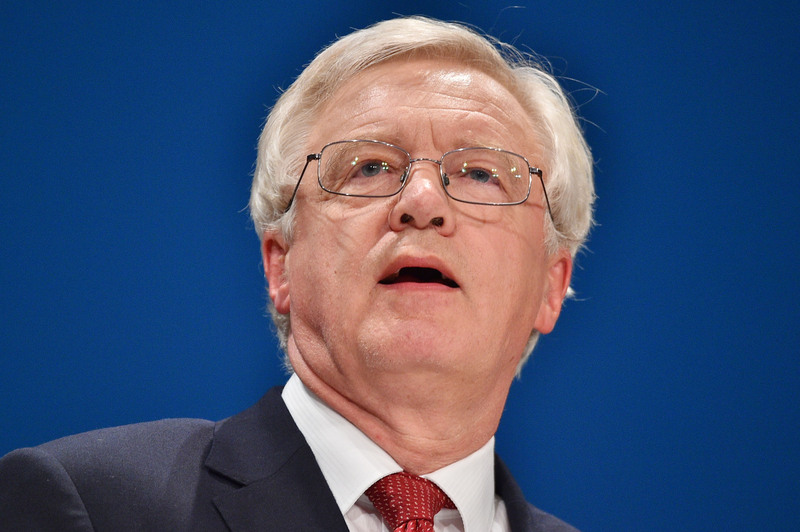 So please hesitate before condemning David Davis when he warns that we are not likely to get a clean break from the EU in the coming talks. Mr Davis understands the monster better than most, and would, I think, prefer to get us out completely. But if even he has begun to talk about a halfway deal, then that means it is the best we can realistically get. Apart from anything else, he knows very well that the Tory Party is not to be trusted in the months ahead. He is really the only serious conservative figure in the Government. Unlike some who saw the Leave campaign as a vehicle for ambition a few months ago, he grasped the problem long before. It is painful to recall how he was robbed of the Tory leadership by an alliance of media creeps and big money. They destroyed Mr Davis and saddled us for years with that empty vessel, David Cameron. People are already beginning to forget Mr Cameron. They shouldn’t. First, because so many who should have known better – Tory activists and then voters – fell for his marketing. Second, because he is mainly responsible for the mess in which we now find ourselves. Try not to be fooled by this kind of person again. Previous Previous post: We Pay Politicians & The Media To Know What They Are Talking About – They Don’t! Next Next post: The HoC Is A Court & The Judiciary Have No Place Interfering With Democracy!